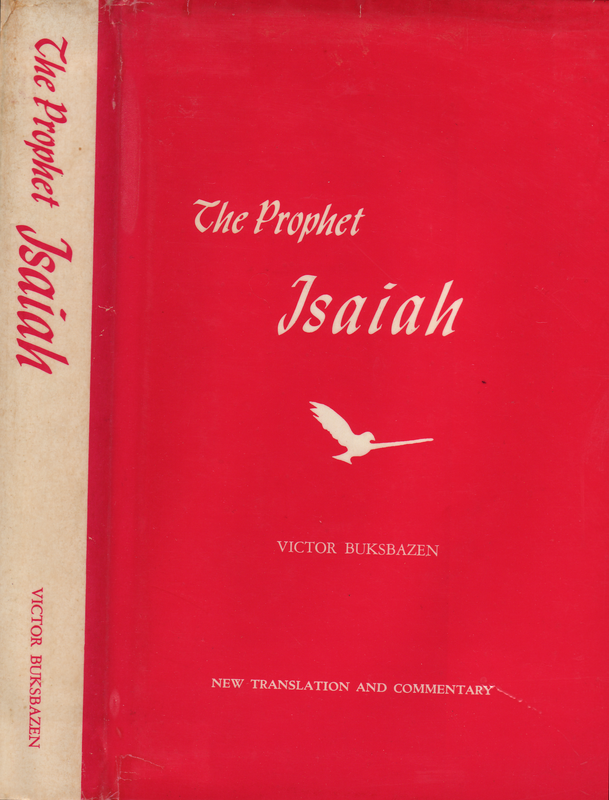 Click here for sample verses from the version by Victor Buksbazen. Comments: Hardbound octavo 512 pp (Vol 1 & 2 in one book). Dr. V. Buksbazen, born in Poland, has a Jewish heritage and learning tradition combined with a Christian upbringing. 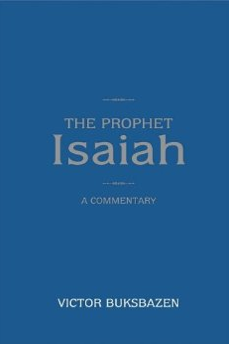 He votes for the indivisibility of the Isaiah prophecy (no Deutero- or Trito- Isaiah) and carefully scrutinizes the theories of it's critics. 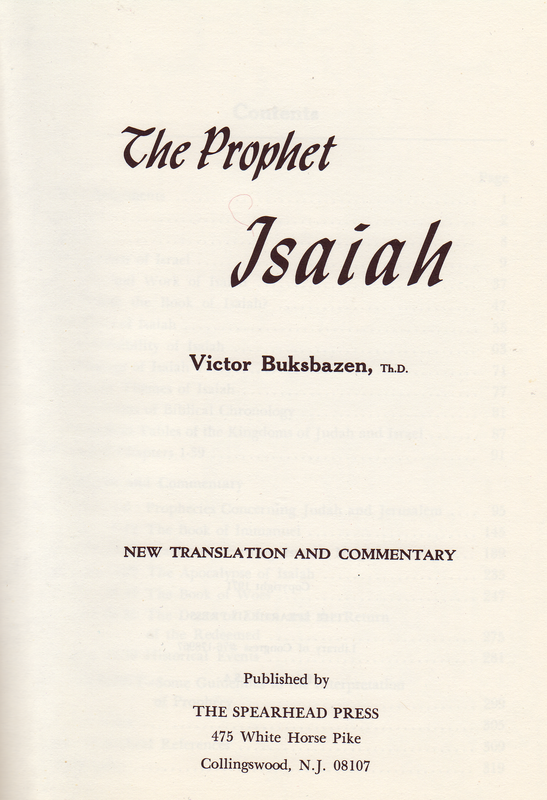 The translation is put in between the commentaries; Jewish objections towards Messianic prophecies pointing at Yeshua of Nazareth are being considered and evaluated. 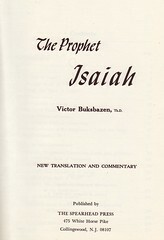 - This book was originally published in 2 Vols (Vol. 1 ch. 1 to 39 w/322 pp; Vol 2 ch. 40 to 66), and in a single Vol. edition. 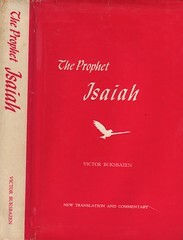 Lately, 2006, it has been reprinted by „The Friends of Israel Gospel Ministries“.